I absolutely love that WOW offers some masculine, earth-toned powders in their line, and Catherine Pooler has some great sets that can be used for guys as well. 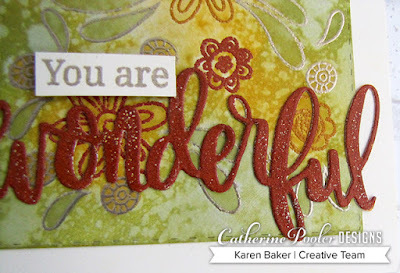 I paired a stamp from the Everyday Mod Stamp Set (affiliate links used) with Blueberry, Olive, Honey and Paprika and then a sentiment from Happiness Enclosed that was embossed with Platinum. Love this color combination for masculine cards! I also used the same set of colors for a slightly more feminine card. This time I embossed a series of floral images from The World Awaits Stamp Set with Platinum WOW Embossing Powder. I colored the backround with sponged ink from the Spa Collection. I then created a die cut word from the Wonderful Word Die, making it 3D by layering and heating the Paprika Embossing Powder. WOW! Embossing Powder: Any 6 powders from your choosing along with a WOW carry case to store you powders safely in. The winners will be chosen at random from the comments left on all of the participants of this blog hop. Winners will be announced the week of July 2nd and be posted on WOW's blog. I love both of your cards. The first one is so bright and colorful! The second one is just so pretty. Awesome cards! Love the masculine one! Stunning cards. I love to see ideas for masculine cards, and yours I see fabulous. Love the spa collection colors with the earth tone embossing powders. I love your first card - so simple yet stunning! Very pretty cards. Love you color selections. Oh my goodness...super cute cards. Wow, what great cards! Playful and graphic and elegant and gorgeous. Fantastic color combinations. paprika embossing powder, that's just fine to say. Nice cards - thanks for the inspiration! Fun cards! 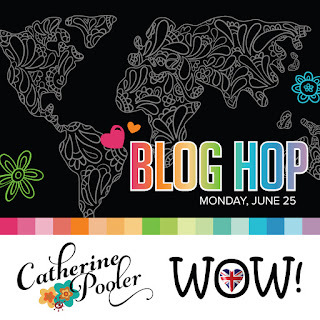 Thanks so much for sharing with us on this great blog hop!! The 3D word embossed puts a punch to the design. Great job. Wow ! You’ve designed such a fantastic pair of cards !! These are both fabulous Karen, especially the first one! Your Everyday Mod Set card is special-I can see using the design over and over. Thank you. Beautiful cards. I love the clean and elegant look of your first one. 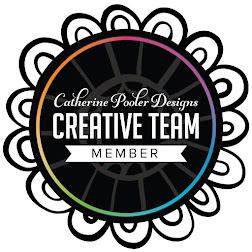 Love the cards and embossing powder colors. These are such great colours, oh my goodness Karen your cards are awesome! Love the Retro feel and oooooh, did I mention those COLOURS? YUM! Great use of this color palette for two different looks! Both cards are wonderful. 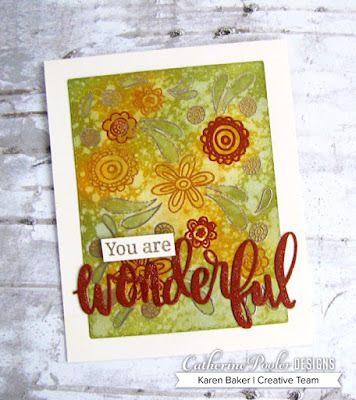 The guy card works so well and the Paprika EP creates a stunning embellishment on the feminine card. Both of these are fantastic! I appreciate the masculine take for this hop. I can see these cards going fast! wonderful cards...love the first graphic one! first card and just the prettiness of the 2nd. Very pretty clean and simple cards, Wow! Love the colors. 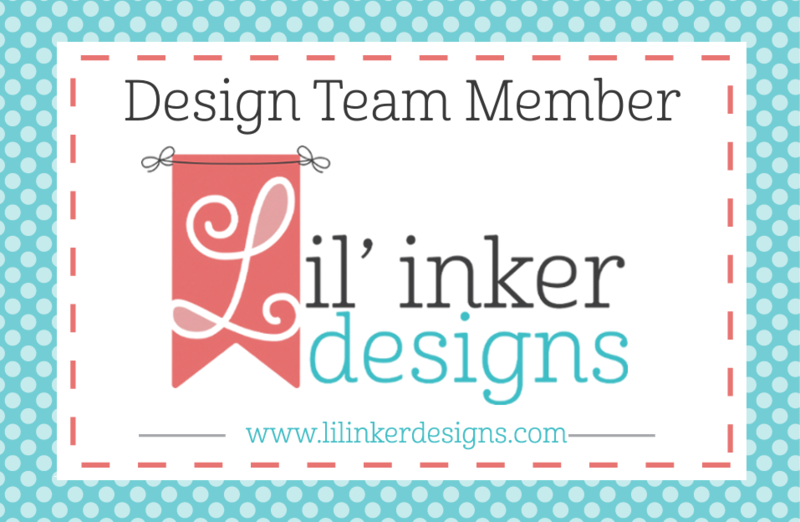 Thank you for sharing and being apart of this wonderful Blog Hop. I love your cards. The colors you used work well for both masculine and female cards. The first card made me think of a yo-yo which I love. So pretty. Yup - I'm a girl and I really like your 2nd card best. 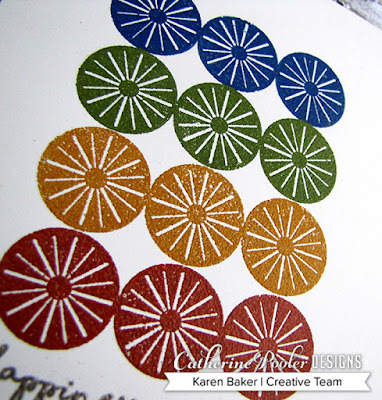 Great examples of the colors available from WOW embossing powders. Love these cards - they are totally different from anything we've seen so far on the hop! Love the color choices! Great cards, love the colors. yeah for you!!! you remembered the boys!!! i really like the cards. These are great cards. Bet the floral is even entire in person. Great cards. I like the colors you used. Very pretty cards. I love the colors you used. Love love your backgrounds on your cards. Beautiful cards. Thanks for sharing. Love how you inked up that floral background - beautiful! 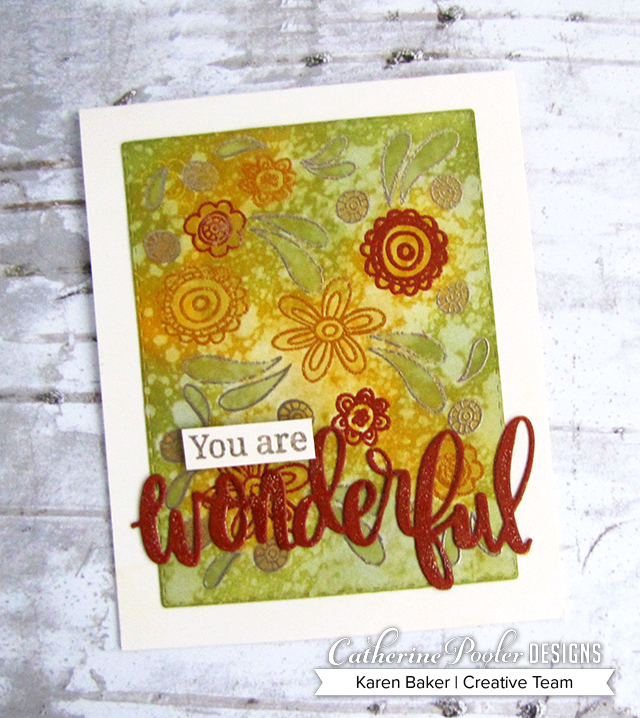 The earth-toned powders are perfect for Fall cards! Wonderful cards you created with these new products. I love your graphic card. Thanks for sharing these great products. 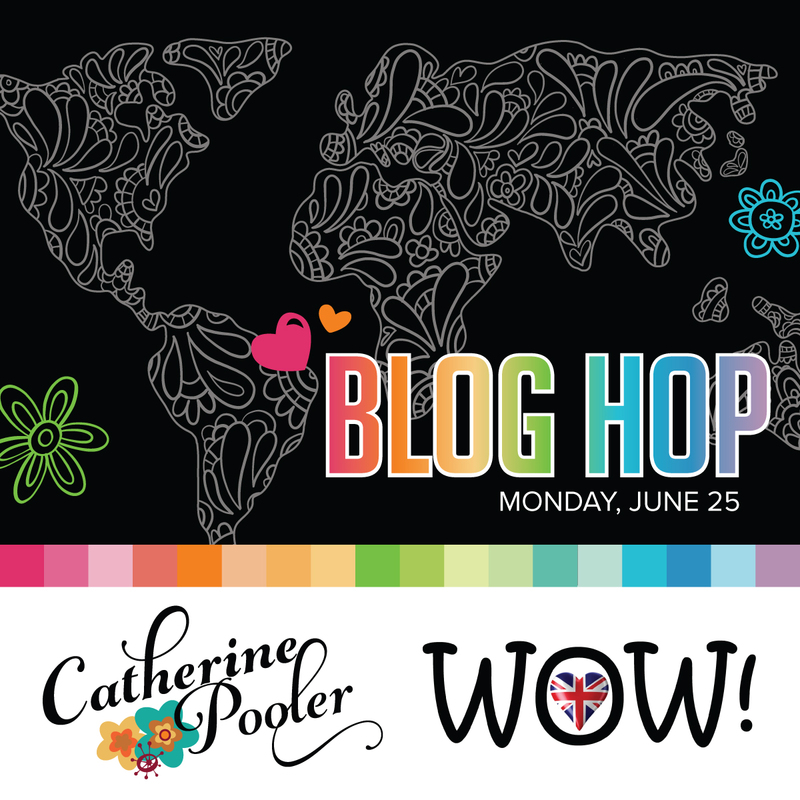 You're right Laurl, this blog hop is fantastic! Thanks for the great inspiration. You made great use of your stamps - nice cards. Karen these cards are PERFECT!!! Love everything about both of them. Wonderful cards!! 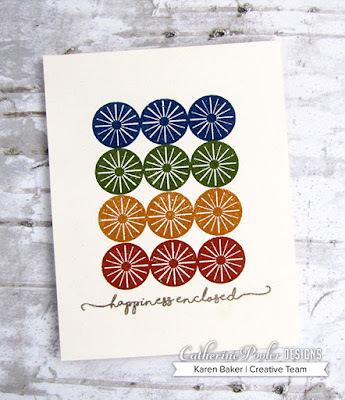 I really love that first clean & simple card with all the stamps lined up in great colors!! Wonderful cards, really love the CAS card. Thank you for sharing. These are just gorgeous. Love it ! Love the rainbow effect on your first card! The colours you've chosen for your cards are so pretty. Thanks for sharing your creativity. Pretty cards! And so different. I love the colors! Thanks for sharing!